Minneceliac - What Is The Nima Sensor And Why Do I Have It? If you follow me on Instagram, you’ve seen that I’ve been posting some food photos with an odd-looking little black device. This gadget is called a Nima Sensor and she’s my new best friend! Meet my new friend, Nima. As I’ve mentioned before, it’s a bit of a struggle to eat out with Celiac Disease (unless, of course, you’re at a 100% gluten-free restaurant) so this Nima Sensor is an added level of security that checks for gluten levels in food. And, hopefully save me from only trusting that the staff are keeping me safe in the restaurants. I have had this device for about a month now and so far I’ve been saved from eating food that has come back with “gluten found”. This was all food that I was under the impression would be safe for me to eat. Here is a link to the Nima website so that you can learn what they’re about directly from the source: https://nimasensor.com. I’ll give you a brief layperson’s explanation! The Nima uses special technology to mix a solution with the food you are testing to search for gluten proteins in food. It works similarly to the way that antibodies rev up in the body if a person with Celiac Disease ingests gluten. 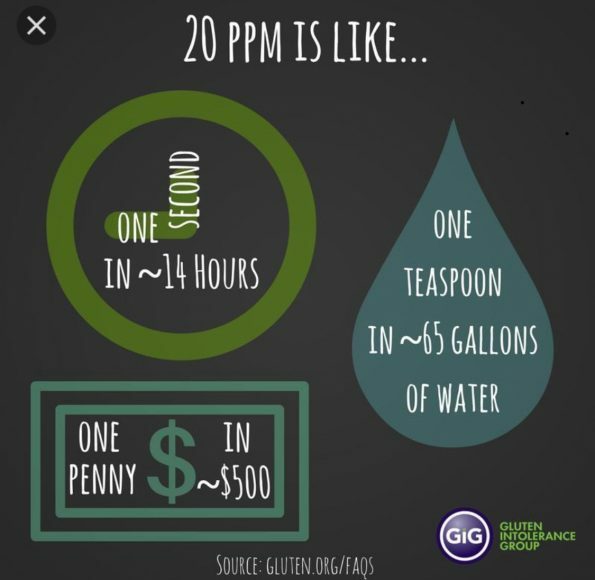 It can identify at least 20 parts per million (ppm), so 20 parts of gluten per million parts of everything else. The reason this level is important is because this is also what the Food and Drug Administration considers “Certified Gluten-Free” in packaged foods. Yes, I could potentially get sick from just a teeny tiny amount of gluten. The Nima essentially comes with two parts: the testing device and the capsules. You put a pea-sized amount of food into the capsule (I try to get a little bit of everything on my plate). Then twist the cap closed, insert the capsule into the device, hit the start button twice, and let it go to work. 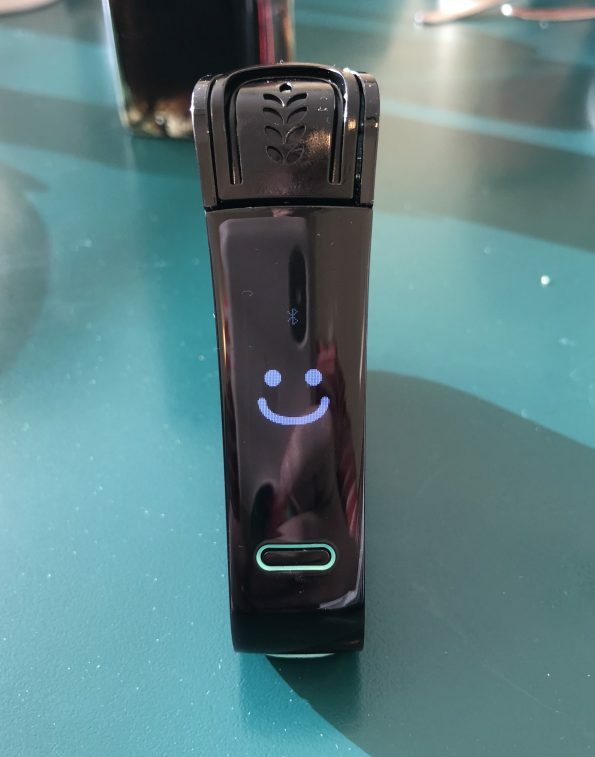 After approximately three minutes the device will either give you a big smiley face which means no gluten was found or you’ll see a wheat symbol that clearly says “gluten found”. I tested these puddings at home. I got it because I’m sick and tired of being scared of eating out!! I don’t want to have to guess anymore if what I’m eating is safe. It makes me feel better knowing that I have an extra level of security. We have been very diligent in finding restaurants that I presume are safe, but like I said before I have been saved a couple times thanks to the Nima. Don’t get me wrong, it has been frustrating when my Nima comes back with “gluten found”. Sitting at a table watching my friends/family eat while I can’t is hard. Some days I think that maybe it would be better to not know. But then I think about how sick I was and how sick I could get if I eat gluten. No way do I want to purposely do that to myself. So what happens when my Nima comes back with “gluten found”? Good question! I haven’t quite got my process down yet. The first time it happened, the restaurant comped my meal and I packed it up to go because I thought Brian could eat it later. The second time it happened, I told the staff and they just hummed and hawed and shrugged their shoulders. I was with my family and they offered to eat it, otherwise I definitely would have asked for my money back. Both times they offered to get me something else but honestly I don’t think I would get anything else at those restaurants (it was The Local and French Meadow, if you’re curious). The restaurants were very busy at the times we were there, so I didn’t ask to speak with a chef. In the future, I definitely think it would be beneficial for me to talk with the kitchen staff. Then I can understand exactly how they’re making food. Don’t worry, I did acknowledge to the restaurants both times that I understood they were not completely gluten-free restaurants. I understand that’s the risk I take for eating out. The Nima device itself costs $229. Each time you test your food you have to use a new capsule and each capsule is $5; they are sold in packs of 12. You can also get a starter pack which includes the device and 12 pack of capsules for $289. Hint: I think you can enter you email address on the website to get an additional $10 off the starter kit! It comes with a portable USB charger that only needs to be charged every 40 hours or so. According to the website, most people only have to charge it once a month. After the test is complete, you just discard the capsule. It’s really very easy! The hardest part is waiting the three minutes for the tests to finish. There is also an app that the device links to that keeps track of your tests. Then you can go in and enter exactly where you were and what food you tested and then it will be shared with others. So great to have that as another resource! AND, the Nima sensor and capsules are reimbursable through your health insurance’s Health Savings Account (HSA) or Flexible Savings Account (FSA), if you have one. Once we found out we could get reimbursed through our HSA/FSA we decided that it was worth it for the added peace of mind. I hope this helps explain why I’m posting about it on my Instagram account. Also, I’ve created a separate blog post HERE with a running list of all of my Nima tests – with Minneapolis restaurants and the specific foods I’ve tested! If you have a Nima Sensor, please share how you handle the situation when it comes back with “gluten found”. How have I never heard of this before ?! I’m so glad I came across this post. I might get one for international trips. It sounds like a life saver. It’s a somewhat new device. Total life saver. I use it pretty much every time I go out to eat or travel. I am confident it has saved me a few times! 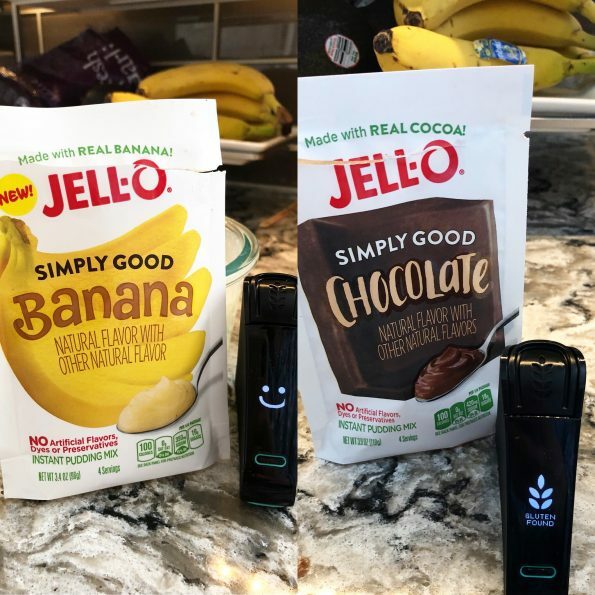 I wrote a little post on the Nima blog about how the device has impacted my gluten-free eating! I am always willing to answer questions about it so just let me know!